Dear beauty junkies, here's a new excitement in June! Anyone wanna score a perfect 10 for the skin? 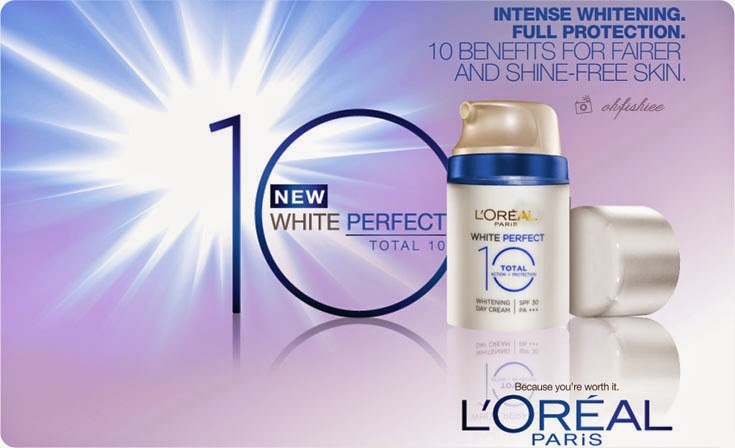 Here's the way to go--- L’Oréal Paris is introducing its first ever whitening cream to provide 5 complete brightening and 5 full protection benefits deep within skin for perfect 10 fairness. 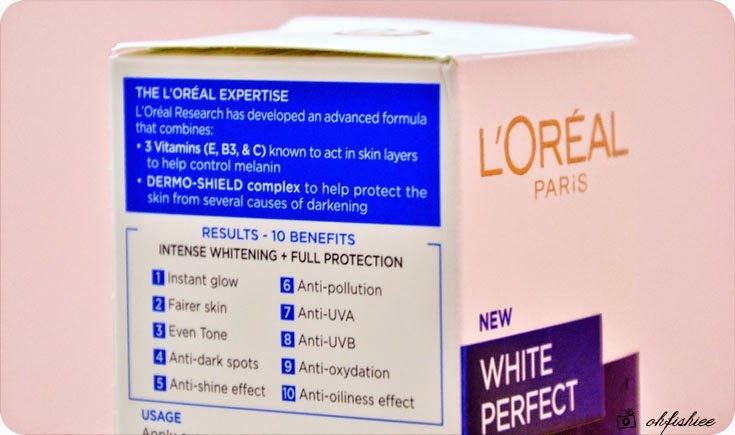 Enriched with 3 vitamins and Dermo-Shield complex to protect the skin from darkening, the new formula is developed with powerful UV filters system to provide protection against harmful UV rays. 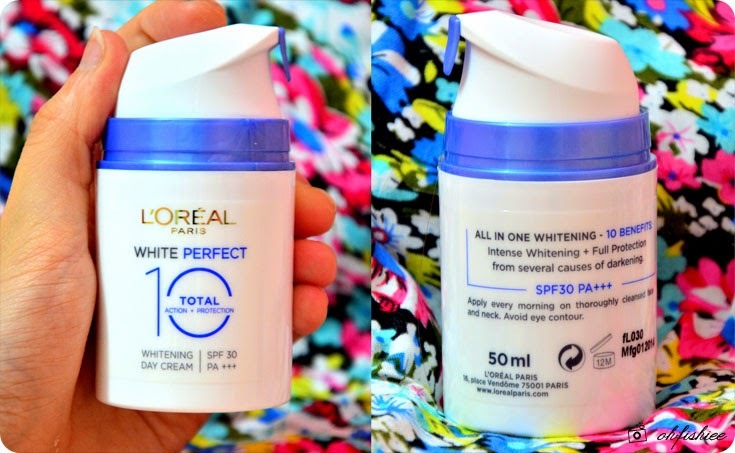 SPF30 PA+++ is sufficient to protect you against 97% of sunlight for 4-5 hours. as you only need to use a small pump on the face and neck every morning. 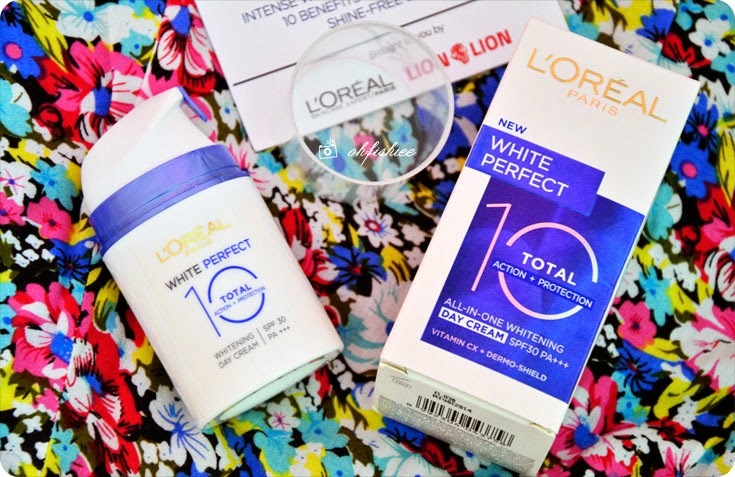 For the best result, it is recommended to be used after L'Oreal White Perfect pH 6.5 Cleansing Foam and toner, so that the day cream can score the perfect 10 for fairer and brighter skin. 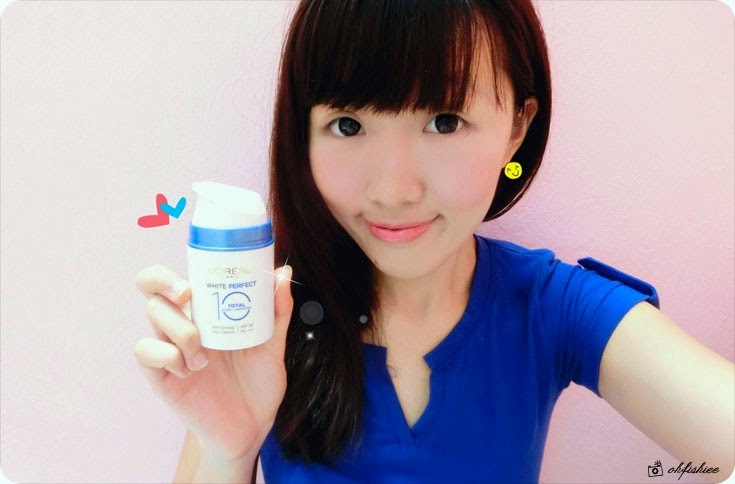 Say Yes to weightless, non-greasy texture--- I find that the day cream is quite light, almost watery-like texture similar to many liquid-based sunblock. Just press half a pump onto your finger and start spreading a thin layer over the skin, but remember to avoid the eye contour ya. 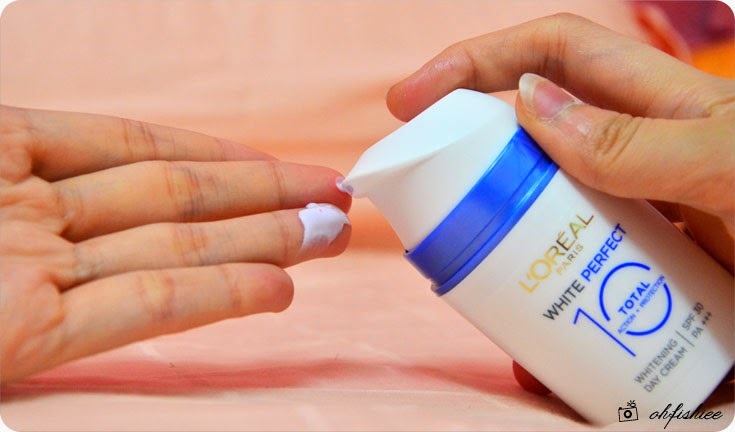 Unlike the ordinary moisturizing cream, it is not off-white but slightly creamy lilac in color and it smells great. I'm surprised that it dissolves so rapidly into skin that it becomes invisible in just seconds. Penetrating moisture deep into the skin, I'm glad that it leaves no sticky feel. 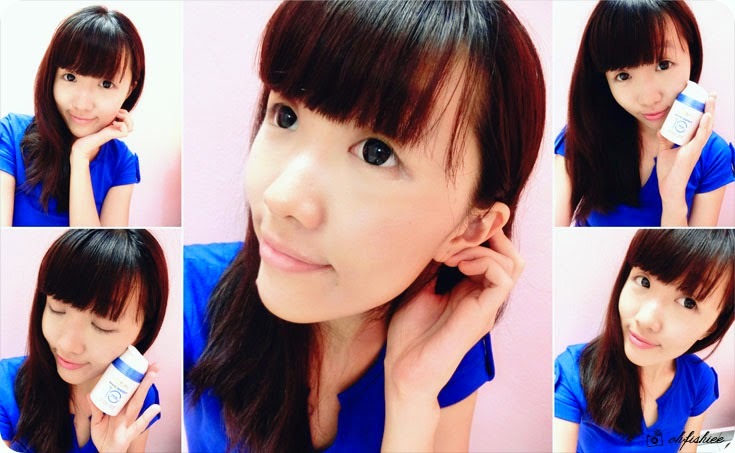 translucent and evenly-toned complexion in the upcoming months! 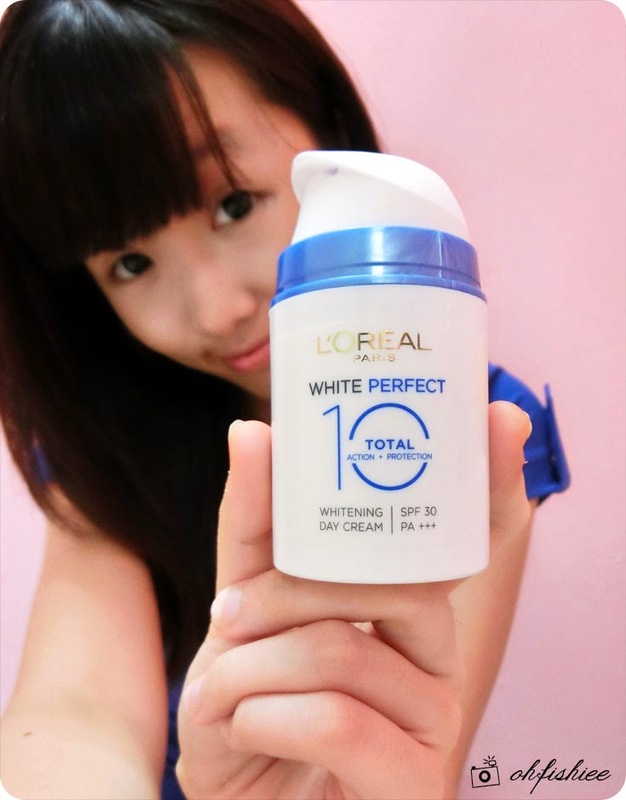 Overall, the day cream works well as a moisturizer, sunblock and whitening agent for the skin. I've been using it for a week now, and my skin appears brighter and less oily / shiny although it is still working its way towards a fairer complexion. Well, try it out for a week and feel the difference yourself! 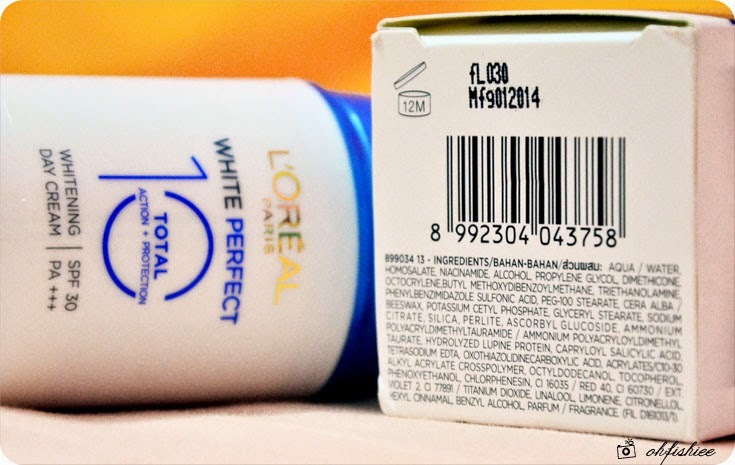 #1 Lightweight, non-oily and moisturizing coverage for the skin that protects the skin against sunlight. #2 Great for those with uneven skin tones, pigmentation or aging signs due to long exposure to the sun. #3 Rating: 5/5 ♥ Repurchase? Yes! It's retailing at only RM39.90, definitely a great steal. Mine too! hehe totally a must have!